How To Download Photos of You From Facebook: Facebook is the largest online social networking network website with over 2.2 active monthly users. People signup accounts and socializes themselves on Facebook. Users of Facebook upload, edit and share photos with friends, relatives, co-workers and lots of other users. Uploaded Facebook photos are always kept in a folder known as an album which can be accessed easily. See: How do you Edit or Remove your Location in a Facebook Post? Interesting, Facebook has a feature that lets you download those photos from the giant social networking website whenever you wish to. To download your pictures from Facebook, first, log in to your Facebook account by entering https://www.facebook.com in your browser and then enter your login details to proceed to your account. On your Facebook account, click on your name at the top right corner of any Facebook page. Next, you'll need to navigate to the bottom of your cover photo and click Photos. Go to the photo and click to expand. Finally, click Download from the drop-down menu and your Facebook photo will be downloaded to your device. 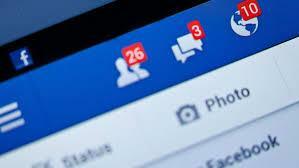 Read: How do I delete post on Facebook? If you want to download the Facebook photo via other tools, you can choose to copy the URL of the photo, and then paste it into that tool. Follow the step-by-step guides below to get the URL of your Facebook photo. 6. Copy the link from the dialog box and click okay to close the box. Bear in mind that you use this link to share this photo with anyone, even if they don't have a Facebook account. Anyone with the link will be able to see your photo.